Look out San Francisco. Mike is coming with his new robot copter. Mat and Mike were previously discussing these little gadgets in our YATS Community. Can this and will this be a woman’s nightmare? One can imagine these flying robotic copters spying on people’s home windows. “It’s spy technology run amuck,” as Mike says. Even with that said, I want one. Check out the Instructables post here. Each week Larry teases the rest of us about the game of Ingress. Larry was able to poll his students to see if any of them played. Of the 30 students, only 1 of them had heard of the game but he doesn’t play because he’s an iPhone user. So in Larry’s eyes, the rest of the YATS panel are a little nuts about this game. We still love you, “uncle” Larry! Apple announced its 25 billionth song download from the iTunes Store. Apple really set a standard many years ago with the vision of Steve Jobs approaching the artists for music sales. This changed the way the industry distributed its content to the masses. Quick, easy, legal and inexpensive. The buyer of the monumental track received the £10,000 towards iTunes purchases. Netflix launched its series House of Cards. Larry thinks this is a way for Netflix to cut out the middleman by producing its own content and breaking away from Hollywood studios. The panel has mixed reviews of the series thus far. Mat thinks this can go in an interesting direction since the series doesn’t have to worry about ads and satisfying those marketers. It’s all about the content. Check out Larry’s thoughts on the House of Cards. Chris opened a discussion around cyberbullying awareness. This is an interesting conversation. We look at what cyberbullying entails as well as potential targets of cyberbullying. Chris was also able to get his hands on a BlackBerry Z10 smartphone. We talked about the features and specs of the phone on episode 40 of YATS. Chris was able to video his first look of the Z10 and discuss more of the BlackBerry 10 operating system features. He believes the Windows phone will get out matched on the enterprise level. Check out Chris’s video here on Spiked Studio Productions. Social engineering can happen to anyone. You have to be careful. Larry explained how one of his home computers was having blue screens of death repeatedly. Being concerned with these crashes, Larry looked to get support on his issue. Sadly, his search item in Google lead him to a not-so-safe team of PC support specialists. This team apparently posed as legit Dell technicians online and was able to get personal computer login information from Larry. A new high end Chromebook has been rumored. It’s touting a touch screen and a resolution of 2560×1700, for a total of 4,352,000 pixels per display. Who’s getting the current Chromebook? Who’s interested in this rumored Chromebook? The Chromebook is an interesting piece of hardware with an even more interesting operating system, but is this good for the masses? Some of us feel typical web surfers and email users will be fine with it. But for the power users that are looking for a “windows like” functionality, it may not be for them. Google is selling this device as another hook into its ecosystem. I wrote a piece on smartphone photography, but focused on a certain member of the Smartphone Photographers Community I host on Google+. Mike Sweeney is a photographer that now focuses more on using his iPhone for photography. In the weekly hangout, he and others share some great photos and tips for capturing great shots. Check out my piece over on aNewDomain.net and take a look at the Smartphone Photographers community on Google+. Larry wrote a post about a 12-year old completing a Massive Open Online Class (MOOC) for a university. This little Pakistani girl made waves in the MOOC community with her intelligence. She was even able to hangout with Bill Gates. Check out Larry’s post on his blog. That’s another episode of YATS everyone. Thank you for your continued support of our show. 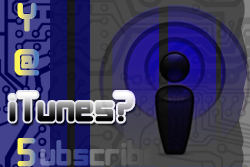 Be sure to look us up in iTunes and subscribe there. While you’re in there, give us a rating and leave a comment. 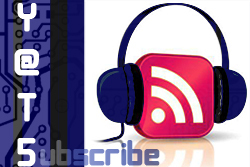 Subscribing to our site via email and RSS are also available. Also, be sure to follow our social media connections on Google+, Twitter and Facebook. Thanks again, everyone and we’ll see you next episode.